Unprecedented investment in rugby, record levels of commercial sponsorship income, and strong underlying commercial growth were among the highlights announced at New Zealand Rugby’s (NZR) 127th Annual General Meeting in Wellington today. The headline result was a loss of $1.9m for the 2018 financial year, but pleasingly 44 percent ahead of budget largely due to $68m in commercial sponsorship and licensing income. 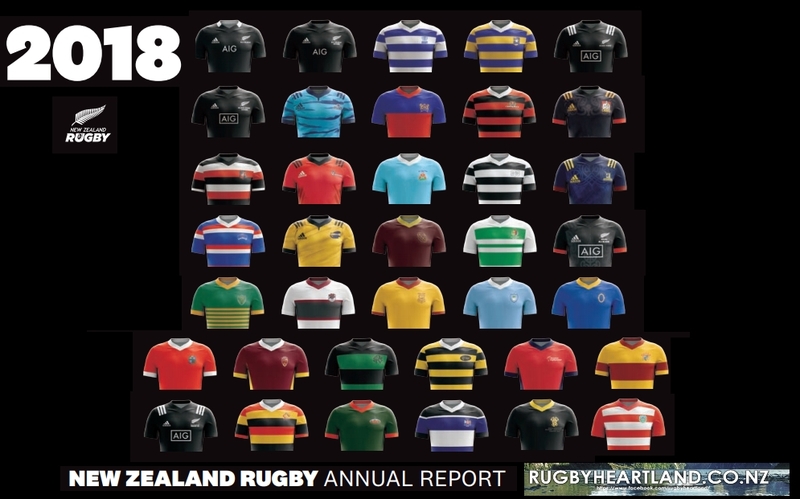 NZR Chair Brent Impey said 2018 set a benchmark for underlying investment in rugby at $191m which was fuelled by the profits of the DHL New Zealand Lions Series 2017. 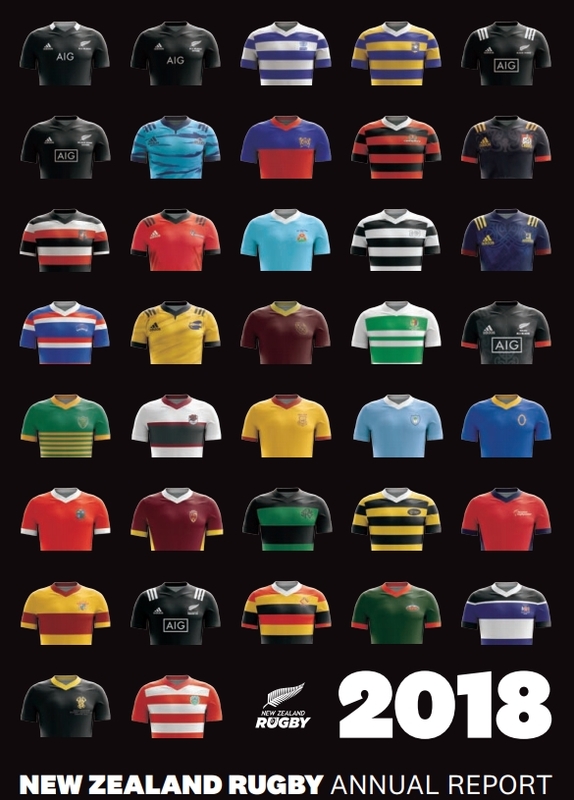 Commercial success was driven by the sustained excellence of the All Blacks, and the increasing value of NZR’s teams in black with the Black Ferns Sevens and All Blacks Sevens teams particularly successful in 2018. He praised NZR’s commercial team for the growth of the commercial programme and the player services team who achieved an 87 percent success rate in retaining contracted players in 2018 in a competitive environment. Impey said pending broadcast discussions would be critical in setting NZR up for post-2020 success. NZR Chief Operating Officer Nicki Nicol said the significant profits generated by the DHL New Zealand Lions Series had been invested in key areas. Nicol said strong underlying growth of 17 percent in commercial revenue (excluding the effect of the DHL New Zealand Lions Series 2017), had driven investment back into rugby. NZR recognised the importance of key partners adidas, AIG and SKY Television. Goodman Fielder and the Molenberg brand became the first exclusively aligned with the Black Ferns and Black Ferns Sevens teams. A new partnership had been formed with Mitsui Fudoson in Japan with Nippon Suisan (Nissui) and New Zealand Trade and Enterprise also renewed. Contracts had been extended with Nouriz, Unilever, Vista Equity Partners, Specsavers, Bluebird, Barkers and Iveco. Additionally, new commercial and brand initiatives such as All Blacks Coaching Clinics, the Official All Blacks Store at Auckland International Airport, and Red Bull Ignite Seven had been launched. NZR’s teams continued to excel on the world stage. Overall player numbers continued to grow to 157,218, driven by a 14.6 percent increase in female players to 27,838. Male player numbers fell by 1.8 percent to 129,380. It was a landmark year for women’s rugby with the first Black Ferns professional contracts signed in 2018 and past and present players capped for the first time. New Zealand were also announced as the 2021 Women’s Rugby World Cup hosts. NZR Chief Executive Steve Tew said community rugby remained at the core of the sport. “It was really pleasing to see an increased number of New Zealanders signing up to play the game in 2018. This was again led by a strong increase in female registrations,” he said. “This year we ran Quick Rip competitions across the country involving 84 secondary schools, encouraging younger kids to participate in an easy-form of the game. Tew stressed the importance of ensuring rugby was truly a game for all New Zealanders. “The introduction of the Respect and Inclusion priority on our scoreboard helps us to hold ourselves accountable for our culture and how we behave. Initiatives included the establishment of a Complaints Management Service and Te Hurihanga, Create the Change, a programme designed to create healthy relationships in the wider rugby community and rolled out with great success by the South Canterbury Rugby Union. NZR Chair Brent Impey was re-appointed as a Board member for a fourth term, while North Harbour’s Shaun Nixon was elected to the Board. Nixon, a 51-year-old chartered accountant and commercial property investor headed off Waikato Rugby Union nominee Colin Groves in replacing Steve Morris on the nine-person board. Nixon’s impressive CV includes serving as a Director for the North Harbour Rugby Union since 2015 and on the Blues Board in 2018. He is the current Managing Director of Total Storage Limited, a founding partner of Nixon Cate Limited Chartered Accountants and responsible for setting up 12 private property ownership companies. Mark Robinson was also confirmed by the Appointments Committee for a further term on the Board. Former All Black and Māori All Black Bill Osborne was elected NZR President, replacing Maurice Trapp who had served as President since 2017. Osborne (Te Atihaunui), who represented the All Blacks 48 times between 1975 and 1982 including 16 Tests as a midfielder, was replaced as NZR Vice President by former Tasman Rugby Union Chair Max Spence. Former All Blacks captain Sir Brian Lochore was reappointed as NZR’s Patron, while another notable former All Black, Sir Bryan Williams was re-elected to the Appeal Council along with Auckland barrister Rob Fisher. Impey acknowledged the quality of the Board nominations, but also urged stakeholders to do more to encourage greater diversity in governance. He thanked outgoing Board member Steve Morris for his service and “great contribution” to NZR. Morris had been an NZR Director since 2016.